The Seattle Police Department (SPD) is the largest principal law enforcement agency of the city of Seattle, in Washington State. Law enforcement in Seattle began with the appointment of William H. (“Uncle Joe”) Surber as town marshal in 1861. And the SPD was officially organized on June 2, 1869. The Seattle Police Department has various specialty units including SWAT, bike patrol, harbor patrol, motorcycles, mounted patrols, and Special Police. While, the Mission of the Seattle Police Department is to prevent crime, enforce the law, and support quality public safety by delivering respectful, professional and dependable police services. 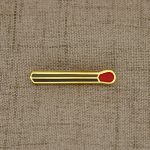 The official order at GS-JJ, which is a professional challenge coins maker, to make customized challenge coins for their SPD member. Support and honor the men and women who “protect and serve” Seattle, one of the greatest cities in the world. 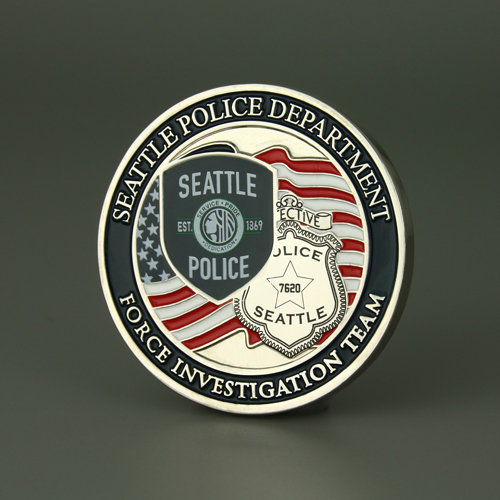 Seattle Police Department challenge coins are two sided custom coins, filled with four enamel colors, silver plated and polished for a shiny presentation. 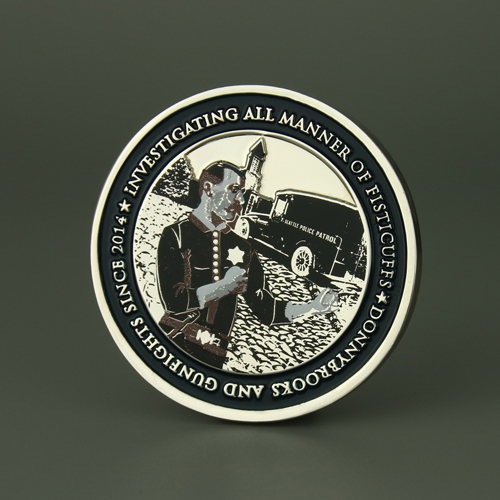 The Police challenge coins features with shield patch and logo of the Seattle Police Department on the center in dark blue, and the flip side printed with an awesome and armed policeman, and a police patrol truck parked behind him. 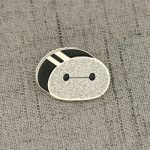 This coins are crafted by soft enamel, and it’s great token for your favorite Policemen, family members or community members.